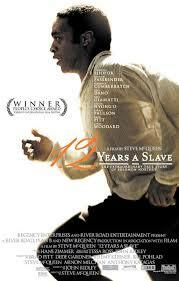 Twelve Years a Slave (2013) – Review – Screenkicker! A huge welcome back to Chris who appears to be on a mission to review all of the Oscar winning films at the Academy Awards. Today he tackles Best Picture winner 12 Years a Slave with an in depth review of the slavery drama. Over to you Chris! I’m gonna start this review in a rather unconventional way: I didn’t enjoy watching Steve McQueen’s 12 Years a Slave. I doubt many people will enjoy watching it; it is not easy to watch. It is disturbing, upsetting and shocking – deliberately so. McQueen’s historical drama, adapted from the book of the same name, tells the story of Solomon Northup – a free man, a father and a husband who in 1842 is kidnapped and sold into slavery for 12 years. But McQueen hasn’t made a biopic, much like how Schindler’s list wasn’t about Oskar Schindler but about the Holocaust, this film isn’t about Solomon Northup, it is about ‘America’s holocaust’ – slavery. Note: this film is a reviewer’s nightmare, its principal cast are all played by actors with spell check unfriendly names, for ease I’ve used shorthand: Chiwetel Ejiofor (CE), Lupita Nyong’o (LN) and Michael Fassbender (MF). It is either a success of the film – or perhaps a criticism – that CE’s purpose is principally to be the the vessel through which the audience experience Northup’s journey of misery. He rarely boils over, and I found myself almost screaming at the screen wanting him to explode in a fit of furious rage. It is a measured and gracious performance. He paints Solomon as a deep and thoughtful man, who – more than some of peers – understands how hopeless his situation is, and how powerless he is to escape it. The power of CE’s performance is best evidenced in a fantastic sequence (which unfortunately was used in the trailer) where he is trying to resist joining his fellow slaves in singing ‘Roll Jordan Roll’. The painful expression on his face is something to behold, in a lot of ways it represents the narrative of the whole film, as CE’s accepts his fate and feels he has nothing left except to accept his plight and join in with the only family he now has – his fellow slaves. It is a reserved and subtle performance, but one that compliments the performance’s of his fellow actors. CE doesn’t play this part for personal praise; his performance contributes to the film as whole. I doubt audiences will leave the cinema singling out CE for individual praise (that will, and has gone to LN), but I feel this may have been the point, by delivering a more reserved performance he highlights Northup’s nobility and also allows the viewer to vicariously experience the horrors he endured. This is a perfect example of less is more. Cheer up mate, what’s the worst that could happen? Oh. Michael Fassbender plays alcohic slaver Edwin Epps, and he is excellent, it is a terrifying performance of a man so full of hate, for both himself and those he enslaves. Epps is a savage beast, few cinematic characters are as vile as he is, and I found myself reminded of Ralph Fiennes’ Amon Goeth, this is perhaps the last time such a despicable character appeared on screen. Fassbender’s early scenes feel perhaps slightly OTT, and perhaps a little pantomime. But the longer he is on screen the more he impresses, particularly when he stares lustfully at LN’s Patsey – the source of his self loathing. Fuelled by hatred, forbidden lust and a fire and brimstone wildly skewed interpretation of the bible, Fassbender dominates the latter part of the movie and threatens to blow every other actor of the screen, it is to McQueen’s credit that he has managed to handle such a big presence and still give the characters of Patsey and Solomon room to express themselves. Somewhat ironically, the portrayal of Solomon’s time in slavery doesn’t feel like 12 years. There is no point of reference as to how long he has been enslaved – we never see his family aging or him for that matter. 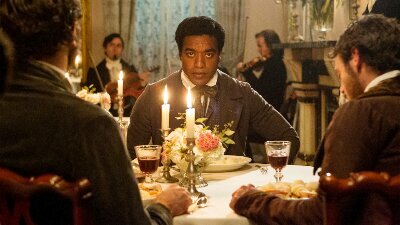 If it wasn’t for the film’s title his time in slavery could be months, not years. In this regard the film may have benefited from the odd text caption showing the passing of years, or even a tried and tested montage of seasons to demonstrate time passing; if anything this would have amplified the horror of Solomon’s experience even more. Much has been written about Brad Pitt’s appearance in the film, all of it negative. Unfortunately I am not gonna buck that trend, his character plays an important part in the film’s narrative, but why did they have to cast Mr Jolie. Brad appears late in the film, and instantly snaps you out of the film, Brad is a good actor, an actor I like, but he is a victim of his own success, his face is so famous and his laxidazical delivery of dialogue so overused that it is impossible to see him as a character and not an actor. It doesn’t help that his character is also poorly written. 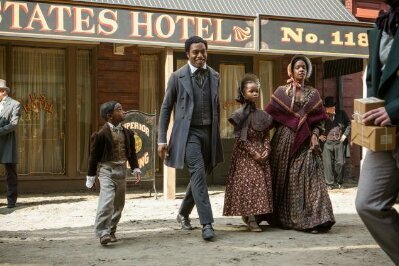 He plays abolitionist Samuel Bass, and (key plot point aside) his purpose seems to be to summarise why slavery is wrong, as if the horrific events of the last 2 hours where in some way missed by the audience. His character acts as a summary, a spark notes guide to the film, and it is unnecessary. A different or unknown actor delivering a better script would have benefited the film. Other characters – those played by Cumberbatch and Giamatti – are more successful, their previous work in no way impinges on their performance, but this is to be expected as they are not household names in the way Brad Pitt is. The film’s soundtrack and cinematography are brilliant. The film features deeply moving music, and it helps give the film a sense of place. As mentioned previously the film’s use of ‘Roll Jordan Roll’ is quite exceptional. Steve McQueen’s artistic background (he is a former Turner prize winner) can be felt in the film. He uses intelligently frames shots, that are bursting with meaning – stand out examples being the slave ship’s engine, the glowing embers of his abandoned letter to his family, and a very powerful sequence where Solomon is lynched, and left hanging for what feel like an eternity. McQueen has been criticised previously for his approach (see his 17 minute shot in Hunger, which is loved by some, hated by others) but here his approach works, it never feels like style of substance, but rather a work of substance executed stylishly. These shots feel like moving portraits, further emphasising the film’s period setting. 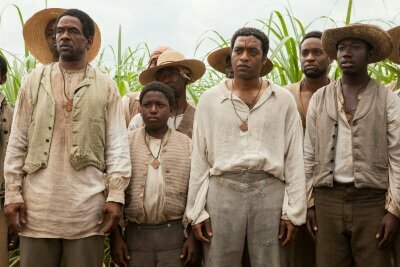 In summary, I can’t say I enjoyed watching 12 Years a Slave, I don’t imagine I’ll watch it again; I did however respect and appreciate it. I think it is a very well made film, with some exceptional sequences and wonderful performances. There is much to admire in this film, but little to enjoy… but perhaps that is the point, and if so – it is a point very well made. Think that was an excellent review Chris. Felt much the same about it. Wouldn’t have said it quite so eloquently though. My favourite review from yourself! I’d have to agree with Chris on this, it is an insanely well-made movie but it had some shortcomings that I saw: namely with Brad Pitt. Very well said, by the way: he kind of did come off as a “cliff’s notes” of the historical events we were watching unfold. He wasn’t necessary and jutted out the most. I appreciated this film but it’s one I’ll never ever return to again. Hey Chris, thank you for writing this review. You said what I wanted to say. I mostly have problem with CE, he is a good actor but he ain’t that good here. I understand that this movie needs to be made and i respect the effort but it’s far from being an entertainment source. I am completely lost at why it’s so highly praised. So thank you for the well written review. Maybe thats why CE was ignored at the oscars? I, for one, have no problem with Pitt’s appearance. I do agree the film isn’t exactly enjoyable and that it probably wasn’t meant to be. Good review. Interesting take, that’s for sure :). I’m fairly certain it deserved best picture, would have loved to see Fassbender take home the Oscar as well. I guess I still haven’t read enough reviews of this film yet, because this is the first one I’ve come across that criticizes Brad Pitt! (besides my own, of course). 100% agree that it was the weakest part of the movie. I don’t plan to re-watch 12 Years a Slave anytime soon–possibly ever. It’s in the same category as Schindler’s List for me. But it did make me want to see Shame. Good review Chris. Can’t say I loved this like everybody else did, but I did appreciate how gruesome and up-front it kept to its story. As disturbing as it may have been to see. Yeah it looks too disturbing for me. Thats why I sent Chris to watch it! Interesting review. I make a similar point about Pitt in the commentary to my review. When Pitt appears it is almost like real life has ended and film began. That’s very unfortunate. If they thought that more people were going to see the movie because Pitt is in there, I don’t think they should have worried about it. Even forgetting Pitt – as this famous actor and looking at his previous films, he does not quite fit in a still artsy film of a still very much ‘independent’ director. This is no World War Z. OK, Fassbender is understandable, since its McQueen and Cumberbatch was in ‘Amazing Grace’, that’s slavery too, but Pitt? I can only explain it away with the reference to his appearance in ‘The Tree of Life’. Hey I read your review. Its great. I think Brad Pitt is at that stage of fame where he looks out of place in a serious film like this. He just looks like Brad Pitt, I guess Tom Cruise is kind of in the same position. Thanks for your comment! I really enjoyed 12 Years A Slave. It’s really tough to watch but the story is told so well. I definitely think it was a worthy winner. I can imagine its a tough watch. Thats why I let Chris do it instead of me! This was actually one of my favorite movies of last year, and I enjoyed it in the sense that I was moved. I was entertained throughout! I like your outlook on it, and it makes sense, as I cannot see myself watching it again either in all honesty. 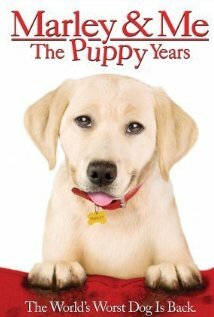 If it was the first Marley and Me I would agree with you but the sequel is awful. The dogs talk in it!